Automatic pro-rations – No need to touch an account unless something changes. On-going cycle billing is automatic, whether billed in advance or in arrears! Delivery/Pickup charges, Damage waivers, and more! Process credit cards – Auto-pay that truly is automatic! Inventory management – Near effortless tracking of what is active and what is available, with projections to know what is planned (and still available) during your busy season! Service routes – Assign a route yourself, or let the system decide for you! Paperless, mobile route management – From customer phone call to delivery to service route to billing and receipt of payment – It can all be paperless! Summit Proof! – Included with "Premium" edition and optional add-on for Plus, Pro and Deluxe editions: Track job sites, current driver locations, and inventory, via bar code scan (by smart phone); Provide instant proof of service confirmations via email or text to customers and supervisors; View jobs and technician locations on the same map; Customer web portal to view their own Proof! More info on Proof! Now is the time to get rid of the old software that is slowing down your business! Summit was designed for the Portable Restroom Rental Industry but still has the capability to handle multiple product lines and multiple company divisions. Whether a single user or a multi-branch operation, Summit will get you on top and keep you on top of your business. Take your portable restroom business to a new level of efficiency with the Summit Rental System. For those who want to start out with only a billing and collections system, the "Plus" edition of the Summit Rental System is the right program. The "Plus" edition allows the new business or those new to computers an opportunity to be more efficient with their customer service, have professional invoices, manage delivery and pickup schedules, and then expand to other capabilities, as the need, time, and budget allow. The "Pro" edition adds service routing and inventory, which are then expanded upon with Deluxe and Premium editions. The "Deluxe" edition is recommended to properly manage all aspects of the portable restroom rental business. The "Premium" edition is for those desiring everything we offer. Whether budget conscious or looking for solutions to specific problems, the Summit Rental System is the right choice for your business. 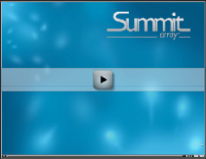 If you do not need a billing system, check our Summit Route Management Tools or Summit Proof! to track job sites, driver locations, inventory, and provide customers with instant proof of service confirmations. 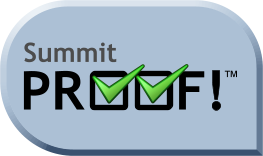 ^Requires subscription to Summit Proof! mobile app. For those New to the Portable Restroom Industry or New to Software, these are some important facts you should consider when comparing our software to QuickBooks. Billing methods: Daily (FEMA, BLM, etc. ), Weekly (Refineries, Chemical Plants, etc. ), 28-Day (matches your service schedules), Monthly (Government, etc. ), Special Event (Weekend, Festivals, etc. ), Per Service (Contractual Requirements), and more! Paperless, mobile route management: Summit provides the icing on the cake! With Quickbooks, and programs that rely on QB, you have to touch each account every time you want to bill. Change the “bill from” date, the “bill to” date, maybe the services performed, the extended amount, and any other direct changes required to reflect what transpired in “real life”. With Summit, you only touch an account when necessary to reflect changes. Set it up once, and forget it! On-going, cycle billing is automatic in Summit and includes all supplemental charges, pro-rations, sales tax; it’s done for you! Automate your QuickBooks billing with Summit.